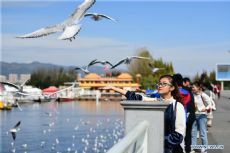 People feed black-headed gulls at Dianchi Lake in Kunming, southwest China's Yunnan Province, Oct. 31, 2018. 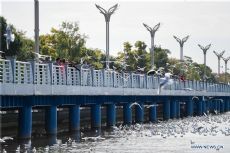 Thousands of black-headed gulls have migrated to the city during these days. 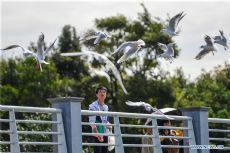 Kunming is known as the "spring city" for its mild climate and year-round green environment.